All golf course projects begin with a vision. However, an important early step in building a golf course is determining whether this vision is financially sound. The lingering question of “Should we do this?” is best answered by bringing together a team of experts to analyze the facts. Of course, the developer should have already done some internal research that makes him feel that the project can be a success before he begins to secure property and spend money on moving forward. At this stage, a golf course architect that fits the project needs should have been selected along with a specific site. Development considerations vary greatly depending on whether the proposed golf course is to be a public/municipal course, private course, resort facility or part of a real estate development. But there are key elements common to all types of courses that need to be considered. Gaining more detailed knowledge of whether the project is economically feasible and under what terms is critical at this juncture before too much is invested in a dream that is not supported by reality. Market Analysis – This document will examine the existing golf facilities within the market area, look at demographic data and try to identify market factors that will influence the ability to compete for new members or additional golf play. Feasibility Study – This document will be the heart of the reports produced. It will take the market data and analyze it in relation to the specifics of the proposed project and make observations about the economic viability. If the findings are not supportive of the project as proposed, most studies will recommend changes to the project such as reducing costs or filling a different niche in the market. Economic Impact Analysis – The information found here will be important during the Entitlements phase of the project as it will show how construction of the project will impact the local economy through the amount of jobs created, spending impacts from construction and operations and additional tax revenues generated for local government use. It will be very important later in the process of obtaining financing for the project that the information presented in the Market and Feasibility Reports is as accurate and creditable as possible. If these documents are to be used for loan financing or investor presentations, a respected and non-interested third party must prepare them. 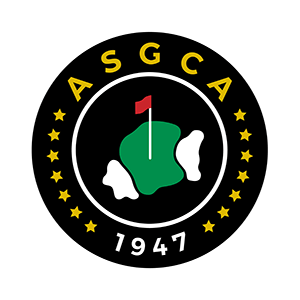 Members of The Society of Golf Appraisers (SGA) are often used for this purpose because, like the ASGCA, members of SGA must attain high standards within the industry. It is recommended that the market feasibility and financial aspects of the golf portion of a project be prepared separately from the real estate component, if it is to be part of a community or resort. What is the Cost of a Golf Course? A key component of any Feasibility Study for golf development is what it will cost to construct the course, clubhouse and other related facilities. Additionally, the cost of ongoing maintenance and operations of the course will be considered in the analysis. While the Market Study may indicate the need for additional golf to serve the area, the proposed course must be designed and built to fit within the price for greens fees or memberships that the demographics of the region justify. All of the up-front costs of acquiring the permits and approvals, master planning, market/feasibility studies, environmental assessments, preliminary site assessments, engineering and golf routings that must be carried by the developer until financing is obtained. This is the most difficult part of estimating golf course costs due to the extreme uncertainty of the public approval process. The cost involved with physical construction of the golf course by the contractor(s) such as earthworks, shaping, feature construction, irrigation and so on. These are the costs most people think of when asking about the cost of a golf course. Ancillary items like the clubhouse, maintenance facility and equipment, pre-opening expenses, turf grow-in, restrooms & shelters, course furnishings, infrastructure costs for site access, power and many other items must be included. Those considering the development of a golf course construction budget are encouraged to speak with an experienced golf course architect. ASGCA members understand the factors that affect construction cost and can help prospective clients build a realistic budget that is based upon their experience with similar sites and types of courses.